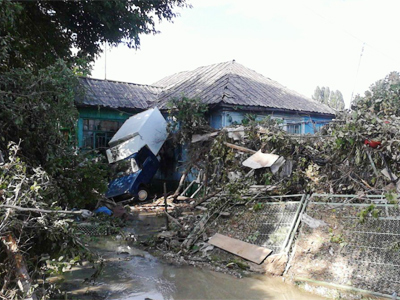 No one has been left indifferent to the destructive flood in Russia’s southern Krasnodar region, which claimed lives of over 170 people. Volunteers across the whole country have started an aid drive to help those who lost literally everything. 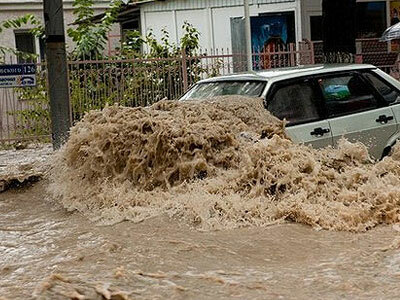 ­The devastating flood has affected almost 35,000 people. They all badly need clothes, medicines, band-aids and bandages, baby food and diapers, hygiene products, tents and warm blankets. Hundreds of volunteers across Russia have united in a huge team, coordinating their efforts through social networks – Facebook, Vkontakte (a Russian-based social network resembling Facebook), Twitter and LiveJournal. Enthusiasts from Russia and Belarus have started drawing a detailed electronic map of Krymsk in OpenStreetMap in order to to coordinate assistance to disaster victims. On Sunday at least 30 official aid collecting stations have been launched in Moscow and other cities. Some of the volunteers were ready to turn their private apartments into such makeshift aid depots. In Moscow the main point where people have bee bringing humanitarian aid throughout the day is located near the Moscow State University building at Vorobyovy Gory (Sparrow Hills), in the center of the capital. 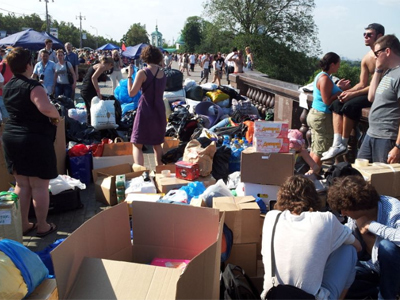 A pro-Kremlin youth movement called Molodaya Gvardia has also started an aid drive. “People keep coming, fearing they won’t make it before the points close! Thank you. We are not getting tired of thanking those who are responsive,” Molodaya Gvardia representatives posted on Twitter. The full list of stations is available online in social media groups and on LiveJournal. 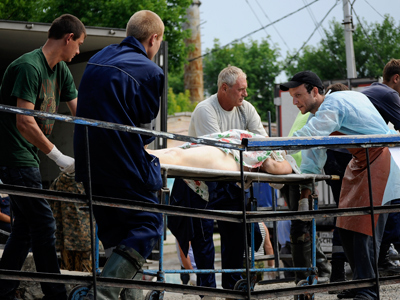 ­Those who cannot bring supplies personally have left messages in numerous groups on Facebook and Vkontakte asking those with cars to meet them and pick up clothes, food and medicines. 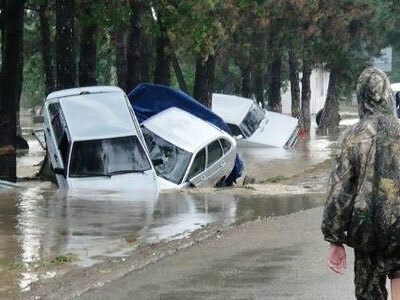 Others have even asked to hitch a ride to the flood-affected town of Krymsk itself. “People, who are going from [Russia’s northern] Murmansk region, give me a ride – I am medical assistant and I am ready to take medicines with me and will buy more with your help. Call me,” wrote a volunteer in the Vkontakte group who left his cell phone number posted on the wall. A chronic shortage of vehicles in light of the number of people who want to go to the scene or deliver aid is the main logistics problem volunteers are facing. “A man named Theodore from [the southern Russian city of] Stavropol reached me by phone. He closed his own second-hand shop and said he was willing to send everything remaining to Krymsk. It is about 800 kg, he says. But there is a problem with transport – he does not have a car. Maybe we could think about how we could solve this?” wrote another volunteer in the Vkontakte group “Help for Kuban, Krymsk, Gelendzhik”. In response, volunteers with cars showed their willingness to give a ride to those who need to get to the Krasnodar region. 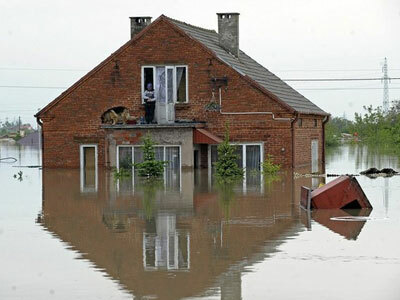 In Krymsk alone the flood has devastated at least 4,600 households. Some 940 people are being housed in shelters. But good-hearted people have also tried to accommodate those who have been left homeless. And even thousands of kilometers away from the tragedy, volunteers are ready to host those who needs not only humanitarian aid, but a roof over their heads. “I can give [my] small house in the Moscow region to those suffering from the flood (to a mother with children or a grandmother with grandchildren) for 2-3 months as there is no central heating in the house,” volunteer Svetlana Shevchenko posted on Facebook. At least 1,500 people are currently working in Krymsk, first vice-governor of Kuban Jambulat Khautov told residents. Another 1,000 will join them on Monday, he assured. The head of Russia’s Ministry of Emergency Situations (EMERCOM) has thanked volunteers for taking active part in tackling this tragedy head on.